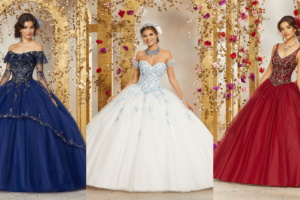 Surfing through the web we came across these fabulous Quinceaneras dresses! Pick your favorite, look it up online and buy it! Or… get inspired and take notes to create the Quinceanera dress of your dreams! Featured image is property of: Samaria Martin.